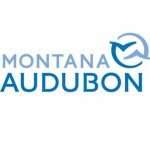 Each year Montana Audubon awards grants from the Audubon Wildlife Fund of Montana, a permanent endowment. Audubon Wildlife Fund grants support education and research projects that benefit wildlife in Montana. Preference is given to projects benefiting nongame wildlife and their habitats. If you are considering applying for an Audubon Wildlife grant for 2019, click here: Montana Audubon Wildlife Grants. Applications are due on December 14!